The benefits and overriding value of a computerized maintenance management system (CMMS)/enterprise asset management (EAM) application have remained consistent over time, but the technology behind these systems has seen dramatic changes. With blitzing speed, it seems technology innovations are occurring almost daily. Everyone benefits since this usually translates to improvements with communication tools and software applications. Today's CMMS/EAM solutions are designed to capture, track and manage real-time information according to the needs of your plant or facility. The sophistication of these systems also means you have the capacity to generate enormous amounts of data. But what about this data? By default, data is nothing more than static information unless you use it for improvement purposes or to sustain your operations. The data generated by your CMMS/EAM system can actually be telling you quite a bit of information. The question is are you leveraging this data for anything beyond the basics. In most cases, there is a goldmine of statistical data that can be mined from your CMMS/EAM and developed into highly intelligent information. Through graphically presented data in dashboard views, key performance indicators (KPIs) can provide you with an immediate snapshot of critical performance areas. The key is to set objectives that help determine what KPIs are important to your plant or facility. They need to be specific to your operations so that proper analysis can be made and action taken to address areas where performance issues arise. That's when your data is telling you something you need to know. This is where the analysis and decision-making opportunities exist. It is also where you can create "what-if" scenarios to base decisions on intelligent data generated by your CMMS/EAM. The activity of setting KPI objectives and defining what will be measured should be aligned with those who have decision-making authority. What information is critical for management to know? What dashboard views must be available for different levels of management? What does the maintenance department need to see versus plant management? These are all good questions to ask and should be considered at the onset of identifying which data to measure and how to present it. If it isn't important to your operation, don't create a KPI. While that concept may seem simple, you don't want to waste your time and effort with insignificant measures. The point is to measure what matters and what has the greatest operational impact on the plant, facility, equipment and people. 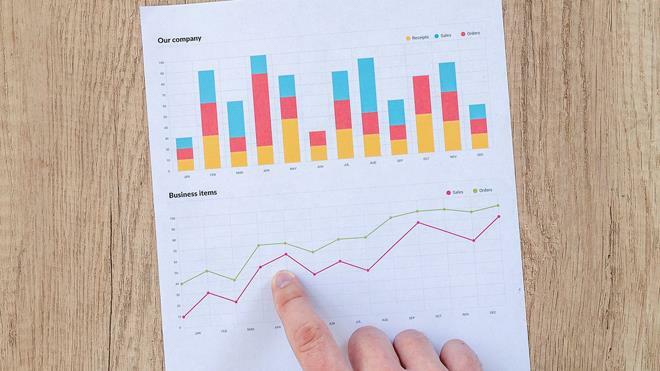 Once the measurement objectives have been established and the KPIs developed, you will have an active dashboard allowing users to analyze and act on crucial data reporting. Those in management positions will have real-time information available for efficient and insightful decision-making. Most dashboards can be custom-designed to present data in graphs, charts, tables and as gauges. Often color codes are used to indicate whether performance levels are within acceptable standards or have fallen below them. Additionally, many data intelligence tools will allow you to adjust your KPIs and build measurements to suit the specific needs of a department, division or the entire plant. This means that certain KPIs many not need to be displayed for everyone. A maintenance manager is going to be chiefly concerned about KPIs that have immediate impact on his area of responsibility and whether performance goals are being met. At the same time, a plant manager likely will be looking for trends and areas of operational significance across the entire plant or facility. Setting up dashboard views based on user level and responsibilities is essential for providing real-time visuals of performance. Doing so allows the user to know immediately if any action is required to address a particular situation. As the organization gains additional insights from the dashboards, trends will emerge that provide intelligence in critical operating areas. For example, your PM schedule compliance KPI will graphically indicate whether you are meeting stated goals through a trend analysis view. Similarly, your equipment performance KPI will indicate availability and failure rates depending on how the measurement is established. Corrective actions can then be taken as required. Comparisons can also be made to different operating periods to determine if any trends exist or noticeable relationships appear through different measurements. With these types of views, in-depth analysis can be performed to establish whether adjustments are required. Consideration is given to the replacement or repair of equipment and the cost impact of operations. These insights are critical for sustaining efficient operations. 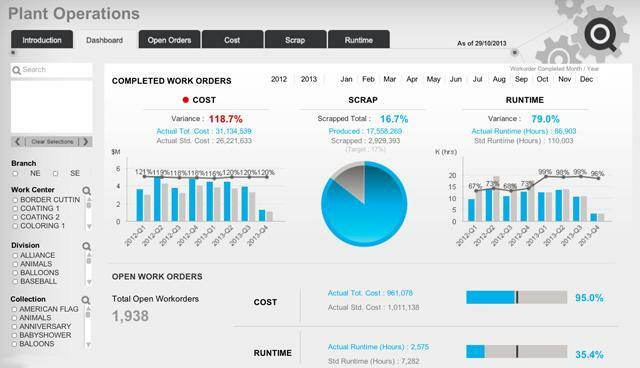 Analyzing your CMMS/EAM data should be done with purpose. Knowing what the dashboards are actually telling you is imperative. It's easy to misinterpret or act out of haste without first gathering all the necessary data for an informed decision. Measurements can also change over time as priorities shift within a department or even plant-wide. This could pertain to new maintenance initiatives, a revised production process or even a new corporate mandate. Whatever your circumstances, be sure to measure and analyze data that has specific influence on achieving stated goals. Viewing the data generated by your CMMS/EAM in the form of graphically presented KPIs will allow for informed analysis in the areas of cost reductions, planning, forecasting, budgeting, resource needs and efficiency. You may even have to occasionally revisit why certain KPIs were established and why certain data is being analyzed. Avoid the trap of doing things the same way. Revisit priorities often and make sure your KPIs are measuring meaningful areas of your plant operational performance. Collaborate with departments and divisions as a way to share insights and develop necessary action plans that will ultimately result in company-wide efficiency gains. Top management will want to see these types of continuous-improvement activities, and your KPI dashboard views will serve as the leverage point for intelligent decision-making. Put your CMMS/EAM data to work to obtain the operational results your company needs for a competitive advantage.